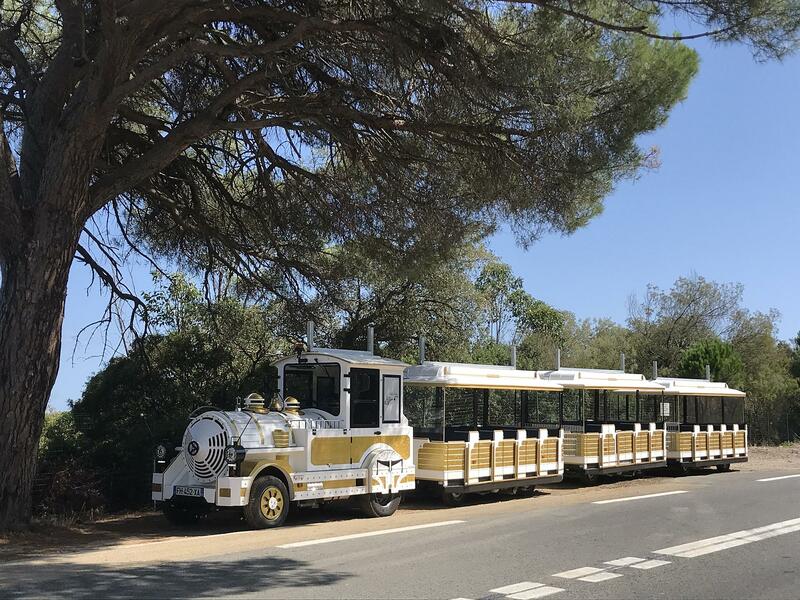 Le Petit Train des Pignes invites you to discover Sainte-Maxime differently! Sainte-Maxime won't have any secret for you! 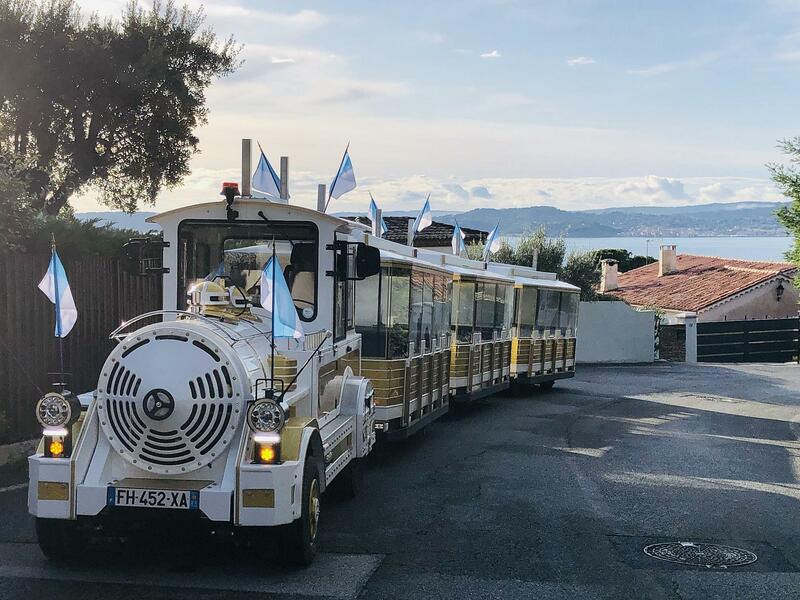 The 45 minutes trip invites you to discover the harbour, La Tour Carrée, symbol for the town, the old village and the old typical shopping streets, the indoor market and its special atmosphere. Without forgetting the Town Hall, that was an old silk-worm breeding factory. 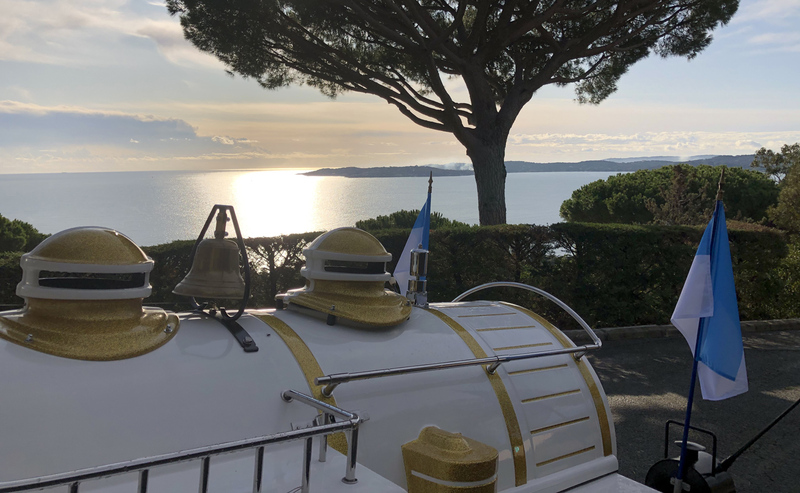 Le Château des Tourelles, the last residence of Leon Gaumont or the Sémaphore hill, on top of its 136 metres offers a panoramic view of the Gulf of Saint Tropez, the sea, and further away the southern alps.
" ... A real institution in Sainte-Maxime since 1987..."
Written and audio comments are provided during the visit (French, English, German and Dutch). Group visits with bookings throughout the year. Departure times daily at 3 PM and at 4 PM. Departure times daily at 11.30 AM and every hour between 3 PM and 5 PM. Departure times daily every hour between 10.30 AM and 12.30 PM and every hour between 3 PM and 7 PM and at 9 PM.